Create a custom long sleeve shirt with some old school flavor. 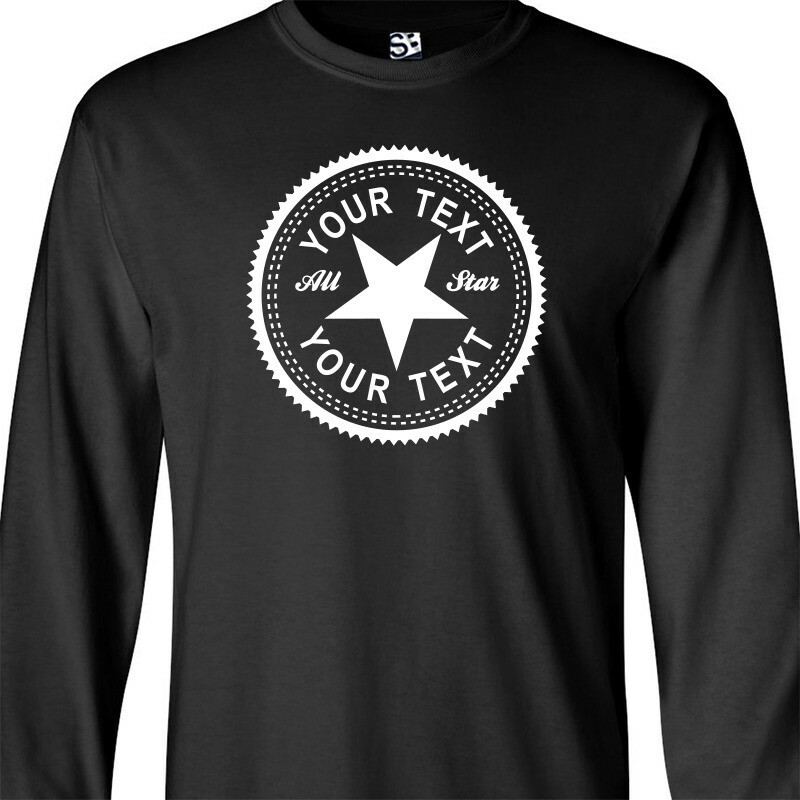 The Personalized Inverse Long Sleeve T-Shirt has all the style of the classic Converse logo with just enough changed to keep their lawyers at bay. Available in multiple shirt or print colors and almost every size imaginable.